View a slideshow of Allan Hancock College's outdoor education center. The outdoor facilities at Allan Hancock College Children’s Center contained dozens of young minds exploring its diverse space on a recent, and windy, Tuesday morning. Three distinct yards separate infants, toddlers, and preschoolers, and each area teemed with a variety of activities despite the limited real estate. The Outdoor Classroom style of yard design offers kids a range of activities in a natural, holistic setting. In the yard designated for infants up to 2 years old, a group of boys and girls stood around a small table containing a trough of water, splashing toys into the small pool, laughing and playing with each other and an Early Childhood Studies student staffer. The children learn far more than just gross motor skills and spatial awareness from the activity, explained AHC’s Children’s Center Lab School program director Yvon Frazier, but how to interact as well. Not far off, a small boy wearing a bowl as a hat was climbing up a slight, sloping hill; he sat and observed the yard, smiling as others followed him. Nearby, another boy was playing alone in the sandbox and took a spill, landing front first onto a patch of pavement. Within seconds of his cries, a student staffer had scooped the tot up, calming him in less than a minute. It wasn’t long before he was toddling off to another part of the yard and engaging in another activity. In the next yard over, where whirlwinds of preschoolers did everything from blowing bubbles to kicking a soccer ball around the large lawn area, the scope of diverse activities was apparent. A group of kids enjoyed a swing set. A small cabin-like structure was packed with children playing house, doing make-believe laundry and cooking imaginary lunch. Musical instruments, crafts, blocks, and other toys were at the ready, and none of the kids were relegated to any one activity. The Hancock Children’s Center Lab was completed three years ago thanks to funding provided by Measure I. With support from the Orfalea Foundation, the college was able to connect with The Outdoor Classroom Project (OCP), and called on Eric Nelson, OCP’s founding director, to help design the center’s outdoor space, which is crafted to foster child-directed learning. You can find out more about The Outdoor Classroom Project’s scope at outdoorclassroomproject.org and learn more about the Orfalea Foundation’s efforts at orfaleafoundation.org. 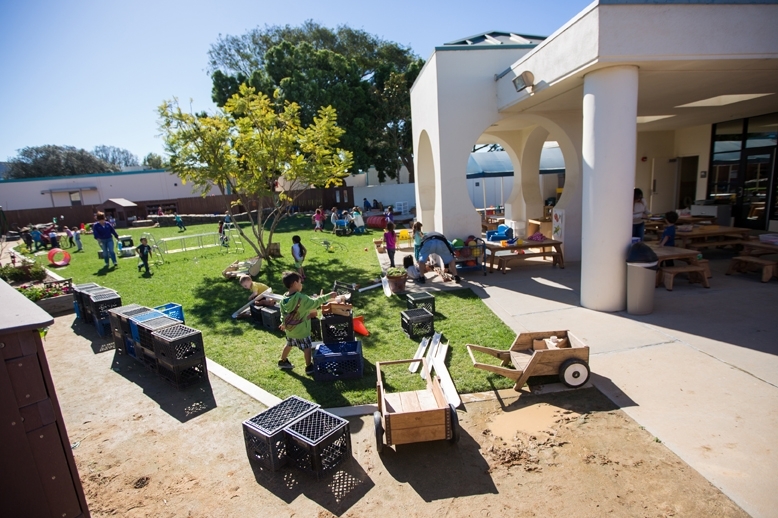 The Outdoor Classroom Project provides consulting and educational services for early childhood services providers, from schools like Allan Hancock College to Santa Barbara County Office of Education preschools in Santa Maria, Lompoc, Las Alamos, Buellton, Santa Ynez, and Santa Barbara. Upcoming chances for education include a gathering on Feb. 26 for county educators to share information, make connections, and discuss outdoor education, as well as a series of specialist training seminars starting in March at the OCP headquarters in La Cañada. The OCP couldn’t operate in Santa Barbara County if it weren’t for funding provided by the Orfalea Foundation, which includes The Orfalea Fund and the Santa Barbara Foundation collectively. The Orfalea Foundation focuses a large portion of its efforts on early childhood education, and includes several programs that work synergistically with The Outdooor Classroom Project in an effort to enhance the quality of life in Santa Barbara County, explained the foundation’s early childhood education director Adrianna Foss. Daycare is a necessity for many parents, especially for working students, explained Hancock’s program director Frazier. 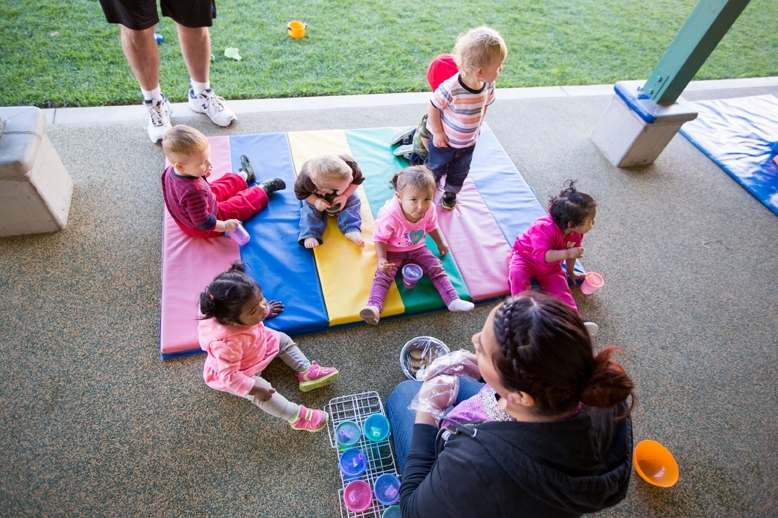 So the setting in which the childcare takes place, especially during the formative first years, is paramount to a kid’s overall physical, social, and cognitive development. 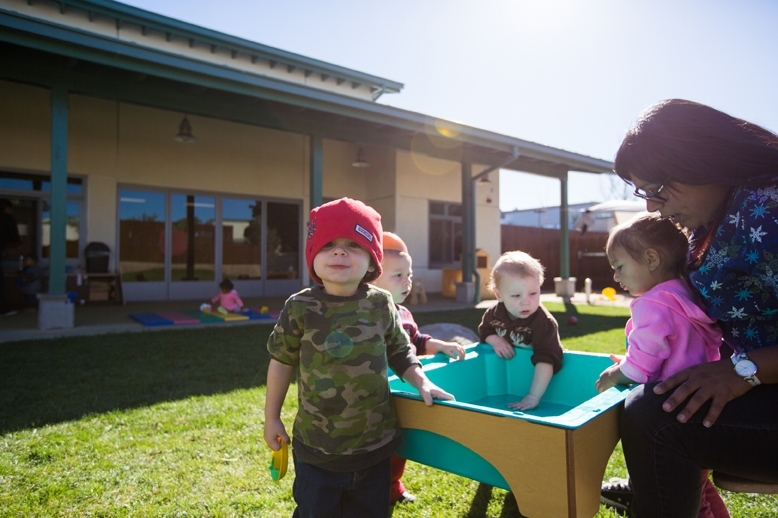 The crafting of a preschool yard may not seem like an indicator of later academic success, but educators like Frazier and those with OCP contend that an appropriate play area can inspire a lifelong passion for learning, physical activity, and environmental awareness. Children are unpredictable. Screaming across the yard one moment and silently studying the movements of a caterpillar the next, there is no telling what will capture their attention. More and more early childhood research is showing that this seemingly erratic behavior is actually a sophisticated approach that children take to exploring the world, their peers, and even themselves. The Outdoor Classroom Project seeks to bring many indoor activities, such as snack time, outdoors as well. The Outdoor Classroom Project, in collaboration with the Dimensions Educational Research Foundation, has contributed to this body of research, including through two studies available on the nonprofit’s website outdoorclassroomproject.org. 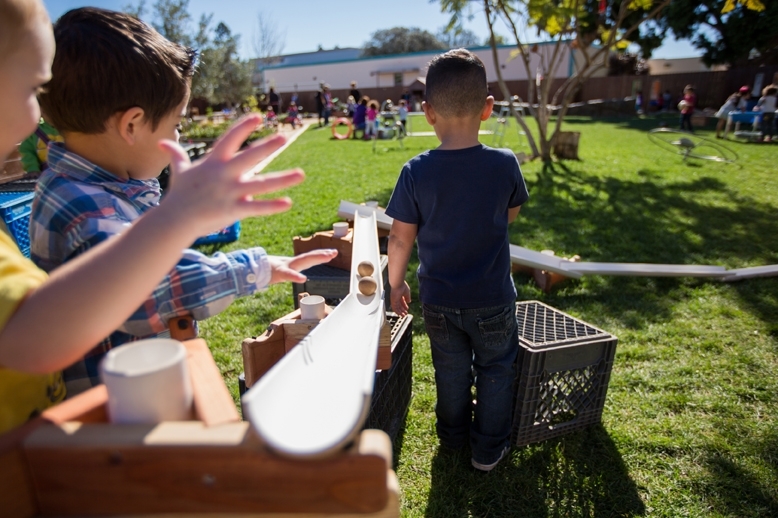 Educators at the Child Educational Center in La Cañada documented infant- to preschool-aged children interacting within its yard, and it revealed the creative ways that kids build knowledge and skills with imagination and unstructured play. One of the studies, titled “Child-initiated Experiences in the Nature Explore Classroom,” detailed a variety of encounters between children and the yard. Kids often crafted their own games, building upon one another’s ideas and enhancing their social understanding as other playmates asked to join in. It’s these open-ended experiences that The Outdoor Classroom Project seeks to foster, explained Carol Capito, who does consulting and training in Santa Barbara County for OCP and the Orfalea Foundation. The study also highlights the importance of a few key features of “experiential learning.” In order for the kids to properly engage in their own learning, they must have independence and control over what they learn, they must feel secure in their learning environment, they should learn in the company of others, and their learning should cover a variety of skills and knowledge holistically. Autonomy is something most toddlers demand, no matter how nicely they are dictated to. Giving a developing mind choice enhances curiosity and soothes fussy temperaments, Capito explained. The Children’s Center Lab School at Hancock is designed to foster these choices, such as the long glass doorways, which can fold in accordion style, that open the classroom up into the yard, blurring the line between inside and out. The children are allowed to choose where they want to play, Capito said, and the results enforce OCP’s mission. The Allan Hancock College Children’s Center Lab includes three yards where infants, toddlers, and preschoolers take charge of their learning under staff and student supervision. Once out and about on the yard, the kids are free to explore their interests. In this way, they build skills more directly, according to the research cited in OCP’s study. They also get immediate feedback on the actions they take, building their kinesthetic and motor skills along with intrapersonal skills among peers. On that windy Tuesday at Hancock, a preschool-aged boy was holding the hand of a college student, who made sure the boy kept his balance as he slowly walked along the top of a narrow rock sculpture that was a bit taller than he. Once stationary, the student slowly let go of his hand, enabling the boy to test his balance alone. Another child called out to the student at that moment, causing her to turn away. 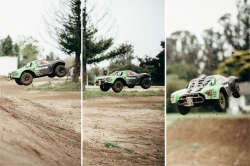 The boy hopped off the wall, landing in the loose turf of the sandbox. The boy didn’t receive any admonishment for the action, though he did surprise the teacher, and was off to test his skills elsewhere almost immediately. Capito leads workshops and offers other guidance to local educators, not just through the Outdoor Classroom Project, but also for the Orfalea Foundation’s Preschool Food Initiative. The initiative is designed to raise food quality standards, feeding practices, and family communication, but especially focuses on educating young children about food and increasing food literacy. The most powerful tool has been schoolyard gardens, Capito explained, which falls perfectly in line with OCP. Raised planter boxes support blooming sunflowers, creeping vines, and leafy greens across the yard, giving the Hancock yard a pastoral feel. Kids cultivate edible plants together with the teachers, Capito explained, and sometimes gardening is new to more than just the children. The kids at Hancock’s Children’s Center Lab are allowed to explore the toys and attractions the yard has to offer, freely following their interests while interacting and exploring. That piqued curiosity around growing vegetables often creates a feedback loop between the schoolyard and the home, with preschoolers asking their parents for broccoli, cabbage, and kale, Capito said. Unfortunately, Capito also explained, several local preschool gardens have been victim to vandalism, specifically preschools located on elementary school campuses. Educators with the Orfalea Foundation and OCP are trying to raise awareness regarding the garden vandalism problem and hope parents will explain the importance of gardens and food with their kids. The Preschool Food Initiative can only reach so far, but the hope from the outset is inspiring a generation of adults that eat healthfully, are physically active, and feel a connection to the natural world around them. In Hancock’s Children’s Center, where the plants are safe from marauding vegetable vandals, the children pick the food they are about to eat for lunch, learning about their world while Hancock students learn how to engage and learn with the children. For program director Frazier, it’s a legacy that was handed down to her from her teachers and one she hopes to offer every student, whether still in diapers or enrolled at Hancock. “For me, I just want to give that back to our community, because it was given to me,” she said. “I want to be able to provide something that students can have that they may take with them for the rest of their lives.